I have to admit I don't know much about Sri Lanka, so I have started reading on the country a little bit. 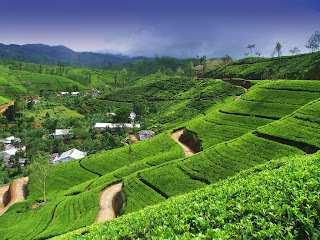 Sri Lanka is a relatively small country (remember I live in Canada), with 435km at its longest and 225km at its widest. It is a tear-drop shaped island, south of the tip of India. At its closest, it is about 50km from the coast of India, and it seems like there used to be a natural bridge between the two countries. About 72% of the population is Sinhalese, 20% is Tamil. There is also a Moorish population, and some other smaller groups. The most commonly used language is Sinhalese. The majority of the population is Buddhist, but there is a wide variety of religious backgrounds. The modern history of Sri Lanka is anything but boring! The island was colonised by the Portuguese, then taken by The Netherlands before falling into the hands of the British. It was then known as Ceylon. It became independant in 1948 and is now a member of the Commonwealth. Since independance, there have been tensions between the Tamil population and the Sinhalese majority. Violent events started in the 80s, with the Liberation Tigers of Tamil Eelam demanding an independant Tamil state. The civil war ended only very recently, in 2009. The country is still quite rural. Its population is around 19 millions, with 2 millions living in the capital (Colombo). 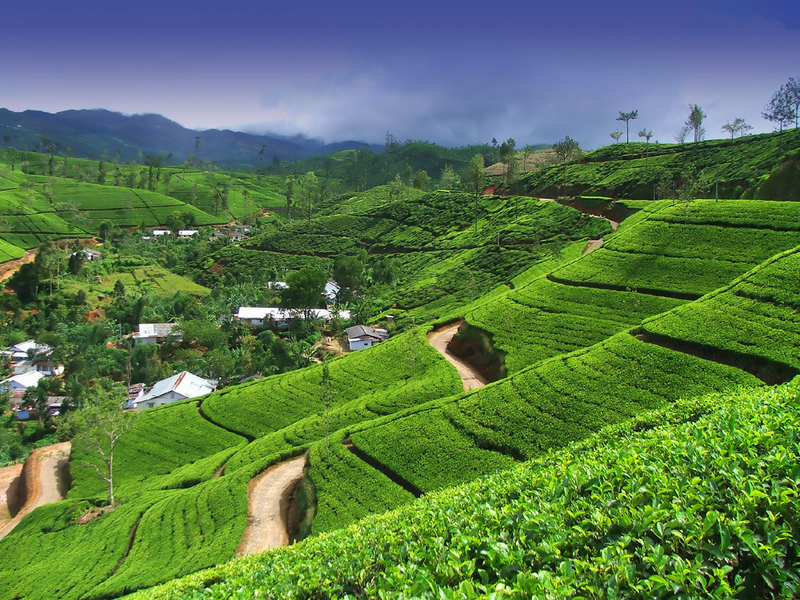 Sri Lanka is one of the largest exporters of tea (you know, Ceylon tea?). Textiles and garment-making are another very important part of the economy. The country also exports rubber, coconut products and precious stones. It still is a developping economy, with a very low average income and 20% of its inhabitants living below the poverty line. Still, the literacy rate is high, around 90%.